Current options for joint health supplementation suggest a greater role for anti-inflammatory substances. 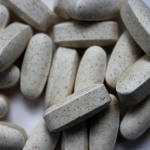 Many people would consider glucosamine to be the unrefuted leader of joint health ingredients. Considering its role as a cartilage building block, it is the intuitive choice for people suffering from osteoarthritis (OA), and understandably so. But recent research shows that the biological scope of glucosamine to be much more dynamic than originally thought, suggesting that glucosamine may even have negative effects on cartilage component production. The generally lacking and conflicting evidence surrounding glucosamine’s mechanism of action, coupled with the negative results in relieving OA symptoms obtained from several large-scale trials, leaves consumers and practitioners alike scratching their heads. It is time to consider the current challenges threatening glucosamine’s best-selling joint supplement status and examine alternative options for natural relief of OA symptoms. Perhaps the most publicized attack on the efficacy record of glucosamine was a series of large-scale trials performed by the National Institutes of Health (NIH), collectively referred to as the Glucosamine/chondroitin Arthritis Intervention Trial (GAIT). Although some trends toward efficacy were present in more severe patients, these trials demonstrated a synchronized lack of benefit with regard to relieving osteoarthritic symptoms and disease markers compared to placebo. The results came as a shock to the scientific and OA communities who had little doubt these trials would confirm glucosamine’s position as the preferred natural treatment for OA. The question marks raised by the GAIT trials prompted researchers to take a deeper look into the mechanisms behind glucosamine’s previous effectiveness in an attempt to gain a better understanding of the role of glucosamine in moderating the progression and symptoms of OA. A bird’s-eye view of current research on the effects of glucosamine on cartilage cells (chondrocytes) and chondrocyte gene expression also presents a puzzling scenario. It seems that the widespread assumption of glucosamine being a cartilage building block misses part of the story. While it is true that glucosamine is a precursor for the production of the extracellular matrix (ECM) components of cartilage called glysaminoglycans, there is evidence to suggest that supplemental glucosamine does not stimulate anabolic (cartilage building) processes; in fact, in some cases ECM synthesis is actually decreased in the presence of supplemental glucosamine. This pattern of down-regulated anabolic processes with glucosamine supplementation is also seen in gene expression of structural cartilage components such as collagen type II and aggrecan. This evidence raises the question of what role glucosamine actually plays in cartilage protection and osteoarthritic symptom relief. Part of the answer is the balancing nature of living systems. On the flipside, it appears that glucosamine also counteracts destructive catabolic action in cartilage cells. This effect is demonstrated through protection against inflammatory cytokine (IL-1? )-induced extracellular matrix (ECM) breakdown as well as reduced activity of cartilage- degrading proteolytic enzymes such as aggrecanase and matrix metalloproteinase enzymes (MMPs). This contradictory evidence further solidifies the complexity of glucosamine’s effects on overall cartilage health. It also serves to provide new insight into alternate modalities of cartilage preservation and OA symptom relief. Although the mechanism of regular glucosamine supplementation remains murky and evidence for its clinical effectiveness is conflicting, the fact remains that many people do experience relief of OA symptoms such as pain, swelling, and stiffness. The dual influence of glucosamine on cartilage cellular activity reveals the fallacy of the simplistic “glucosamine in, cartilage out” argument, suggesting that other factors play into this equation. An emerging alternative is that the level of inflammation may affect the ratio of anabolic/catabolic processes, indicating an anti-inflammatory role for glucosamine and potentially other natural anti-inflammatory substances to further tip the scale in favor of OA prevention and treatment. The role of anti-inflammatories is a well-known treatment model in OA, with many OA sufferers using non- steroidal anti-inflammatory drugs (NSAIDs) and COX-enzyme inhibitors for symptom relief. Yet there is an increasing shift away from the pharmaceutical approach and toward natural treatment options such as glucosamine. After all, many practitioners and consumers are wary of anti-inflammatory drugs due to their association with cardiovascular and gastric side effects. As increasing light is shed on the anti-inflammatory role of safe OA treatments such as glucosamine, the blanket perception of anti-inflammatories as side-effect-laden treatment options is beginning to lift. Some relative newcomers to the joint health scene are bringing an exciting new world of safe and effective options to OA sufferers. Herbal extracts such as boswellia, cat’s claw, and curcumin are increasingly recognized for their effectiveness in relieving OA symptoms, and all act via cytokine-mediated anti- inflammatory mechanisms to slow cartilage degradation. Omega-3 fatty acids in fish, algal, and some plant oils such as flaxseed and echium play a crucial role in regulating inflammatory pathways via the inhibition of inflammatory eicosanoid formation in the body. There are also some clay-based mineral complexes that also have significant anti-inflammatory benefits, reducing nitric oxide production and inhibiting cytokine IL-1?, which can decrease cartilage breakdown. The overall spectrum of natural methods for preventing cartilage degradation and battling OA symptoms shows the importance of reducing the inflammatory burden. Cartilage health and OA relief are the dynamic result of supporting the body’s anti-inflammatory processes by providing the correct materials. Thus, while glucosamine still has a place in the joint supplement world, the holistic approach toward OA prevention and treatment by incorporating a variety of inflammation- fighting substances might be the most effective option. Sarah Holvik is a nutritionist in Vancouver, British Columbia. She is actively involved in nutritional research, educational health and wellness program development, diet and lifestyle counseling, and freelance writing. She can be contacted at sarah@mannaliving.org.